Over the past few weeks I have had numerous discussions with healthcare entrepreneurs who are building products that are designed to automate processes that were once human-powered. These were all fascinating discussion, but it got me thinking about automation vs human touch in healthcare. Specifically, I wonder if there are aspects of healthcare where we want one versus the other – and if that preference depends on the situation we find ourselves in. The entrepreneurs I met with had products that ranged from AI-powered check-in kiosks to automated patient communication platforms to robot companions designed for specific diseases. Each entrepreneur spoke passionately about replacing inefficient (or inaccessible) person-to-person interactions with machine-to-person ones. 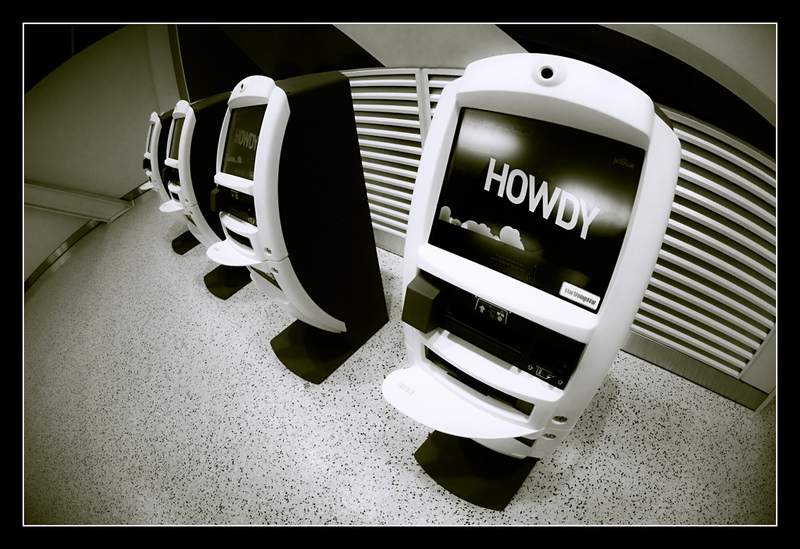 In the case of kiosks, the inspiration came from new airline check-in kiosks that use AI-powered avatars so that passengers can speak commands vs navigate the confusing menus. The idea was to replace the receptionist at a doctor’s office with one (or more) of these kiosks. As a person that visits my doctor once or twice a year, I am completely comfortable dealing with a machine to check in vs a person. For me, it’s likely to be more efficient. That’s because healthcare, in this context, is more of a transaction. I don’t want or need a personal relationship with the staff at my doctor’s office. I have a good relationship with my doctor and that’s all I care about. I’m guessing this is the reason why more and more fast food restaurants are eliminating cashiers and opting instead for self-service kiosks where you can type in your order, pay for it and have it delivered to the side station. This makes sense to me in a fast-food setting. All I want is the food and the faster I get it the better. However, contrast that with most restaurants which still have a smiling person greeting patrons at the font door. In high-end restaurants they often greet you by name if you have made a reservation and they are trained to ask questions about what special occasion brought you in (which they convey to the waiter/waitress). In this situation, I prefer to interact with a person not a kiosk. I want the host/hostess to ask me if I would like a table by the windows or one that’s quieter. I need my waiter to tell me the specials and make recommendations. In a healthcare context, I want this same level of person-to-person interaction when I am having a procedure done. I want to talk to someone when I check-in to answer my initial questions and to put me at ease. I want someone to walk me through what’s going to happen and to help me navigate the hospital. No machines for me please. When I get inside the OR, however, I have mixed feelings about automation. As a techie, I want my surgeon to have access to the absolute latest and greatest technology. I want them to have guidance of an AI that has access to the most recent research and data on the million other patients who have gone through the exact same procedure under the same circumstances. On the other hand, I want my surgeon and his crack team to be in the room managing all the technology. I want them ready to jump in if something out-of-the ordinary happens. I want both machines AND people in that situation. There has been a lot of media coverage lately about the power of AI and the number of jobs that may be lost because of it. Stories like “Automation Will Kill Thousands Of Healthcare Jobs, And That’s Good News For Big Insurers” from Forbes take an alarmist viewpoint – talking about the financial savings of automation coming at the expense of patients and doctors. While stories like “Will These Nurse Robots Take Your Job? Don’t Freak Out Just Yet” from Nurse.org take a more balanced view. I believe that machines will indeed cause many jobs in healthcare to be lost. But I also believe that the increased use of automation will create new jobs – and likely higher paying ones. For every CT scanner there are dozens of people employed to manage them, maintain them and interpret the information from them. More machines in healthcare = more technicians, more support staff, more trainers, etc. In other words, I see a displacement of jobs vs an elimination of jobs. T1 Have you experienced automation in healthcare as a patient, clinician or administrator? How did you feel dealing with a machine vs a person? T2 Where in healthcare are you comfortable dealing with a machine vs an actual person (ie: check-in, appt reminders, lab results)? T3 How can we keep the human touch in healthcare? Should we? T4 Automation often causes job losses initially, but then new jobs & roles arise. What new healthcare jobs do you think healthcare automation will create?